One of the easiest vegetables to grow from seed or seedlings is Silverbeet, once it gets started it is easy care and productive. It can be picked continuously and can be sown almost year round. This is a favourite green leafy vegetable easily grown in a humus rich well drained soil. 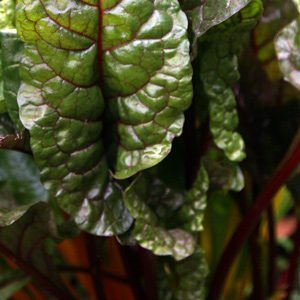 Growing Silverbeet successfully requires a sunny position and can be grown almost year round in temperate areas of Australia. Prepare the soil well by digging in some well rotted compost and aged manure before planting. Rake over well to obtain a good even garden bed. If starting from seed we suggest soaking the seeds overnight to improve and speed up germination. Seeds can be sown directly or planted into punnets and started in a cold frame or greenhouse to give them some protection when young. Keep moist until they germinate. Readily available in a number or varieties and can be planted directly. We use a liquid seaweed or fish emulsion fertiliser combined with some vermicaste from the worm farm, seems to work well. As these are a leafy vegetable we also use a nitrogenous fertilizer, Dynamic Lifter is one. Ready for picking about 2-3 months after planting. Verde a costa bianca all are easy to grow from seed. Silverbeet as we often call it is also known as Chard, Swiss Chard and sometimes is simply called spinach. 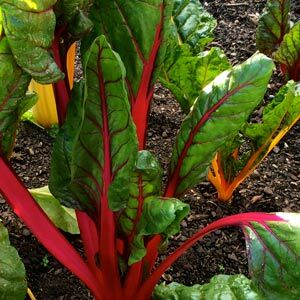 Rainbow Chard are the varieties with brightly coloured stalks, usually red or yellow to orange. Fertiliser – Dig in aged cow manure and Bone Meal before planting. Water requirements – Medium water requirements, moist yet well drained. When to plant – Year round in good conditions. Protect from very hot sun. 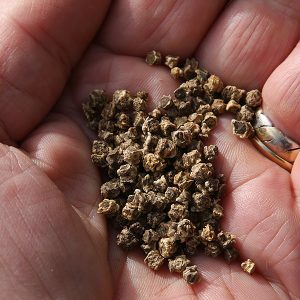 How to plant – Plant seeds directly, or sow indoors and plant seedlings out after hardening off, and before they become to large. Seeds can be soaked overnight to improve germination rates. Harvesting – Harvest the whole plant before the leaves become to course . You can pick leaves from the outside as they come large enough. Bolting – This occurs in warmer temperatures. Wilting, a little hot weather can cause plants to wilt, they will bounce back with adequate water. Pests and Diseases – Leaf miners, snails, slugs. Downey Mildew – This occurs in cool wet conditions particularly when air flow is poor. Some varieties are more resistant than others. Companion Plants – Onion, Lovage, Beetroot, Cabbage, Broccoli, Brussels Sprouts, Eggplant, Cauliflower, Kohlrabi, Strawberry and Turnip. Uses – Spinach is usually cooked. Excellent sauteed, steamed or as a substitute for spinach in traditional Spanakopita pie. The stalks are traditionally used in stews etc in Europe.